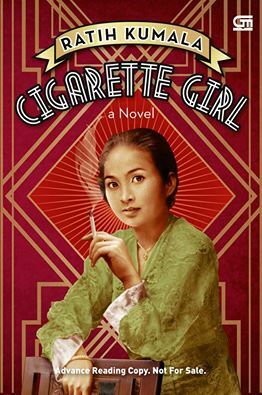 Now, this is the first step of my dream; Annie Tucker had finished translating Gadis Kretek into English. My publisher, Gramedia Pustaka Utama, will be the first to publish it in English. 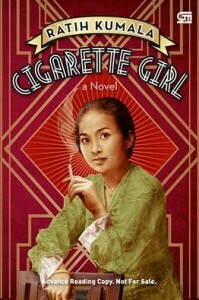 After some on line discussion between Annie, GPU and I, we picked Cigarette Girl as its title. The cover is not far from the original one, but I think it’s more daring, with squares and lines as background.